I’ve had a whole week off of work, thanks to Easter, public holidays combined with three days annual leave, making it ten in a row. And I spent it entirely focussed on motorcycles. 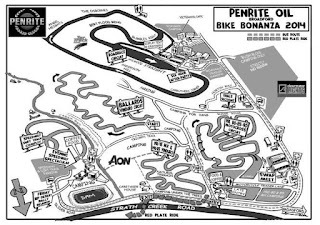 It all started last weekend out at the magnificent festival of motorcycling the Broadford Bonanza. A day for motorcycle enthusiasts manufactured pre 1990. MX tracks, Trials tracks, Speedway and of course the Track, but everything pre-1990. That made for some really interesting rides! 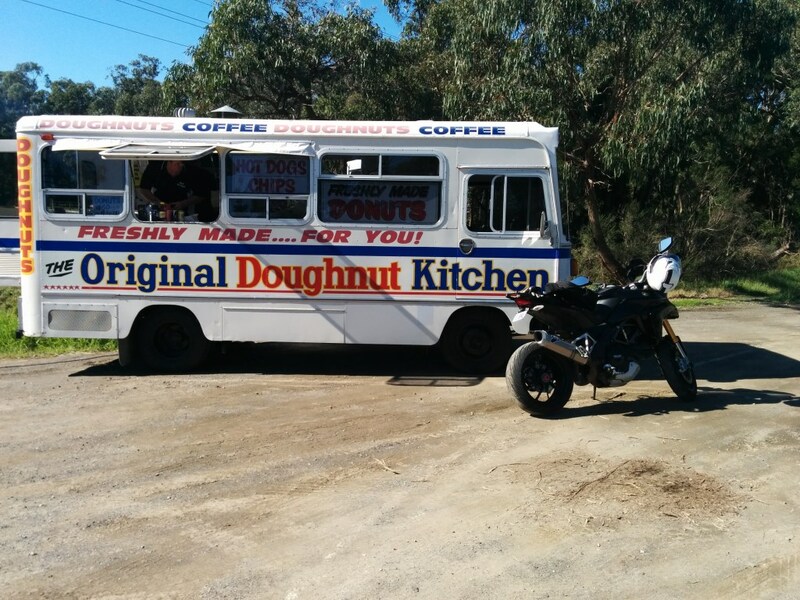 Broadford is only an hour and a bit out of Melbourne CBD and it’s a proper motorcycling playground. What I liked about it most was that, no matter where you were going, what you were doing, as longs as you were on a bike, everything was cool. I took Dizzy up for transport around the ground and had a hoot scooting around the place all weekend. 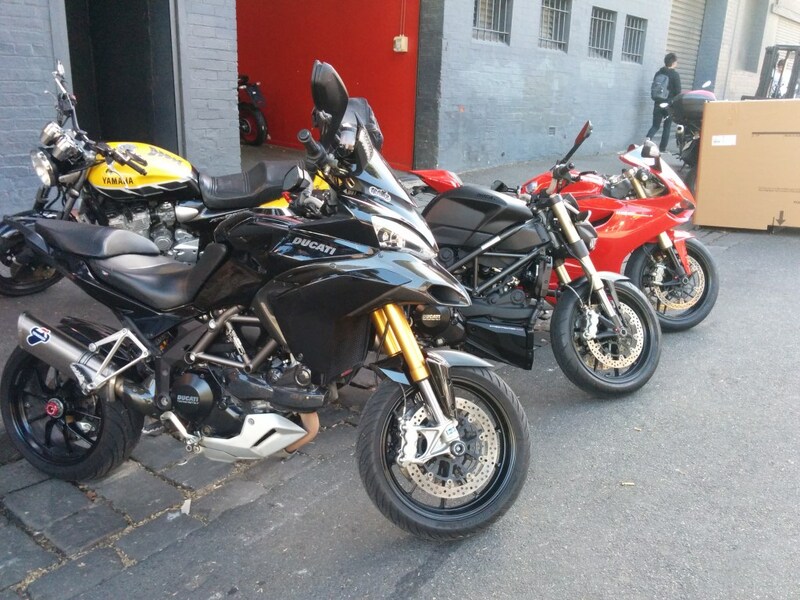 I had a couple of jobs that I’d been putting off, so with the weekend spent out at Broadford I was in motorcycle mode, and took aim at the Ducati Multi and it’s floppy rear indicator situation. Stupidity describes the way the stock mount fits the indicators - almost entirely by the rubber housing of the indicator itself. Everyone who has ever ridden with me, tells me at the first opportunity that my indicators are loose before inspecting for themselves and discovering that is how they are made. 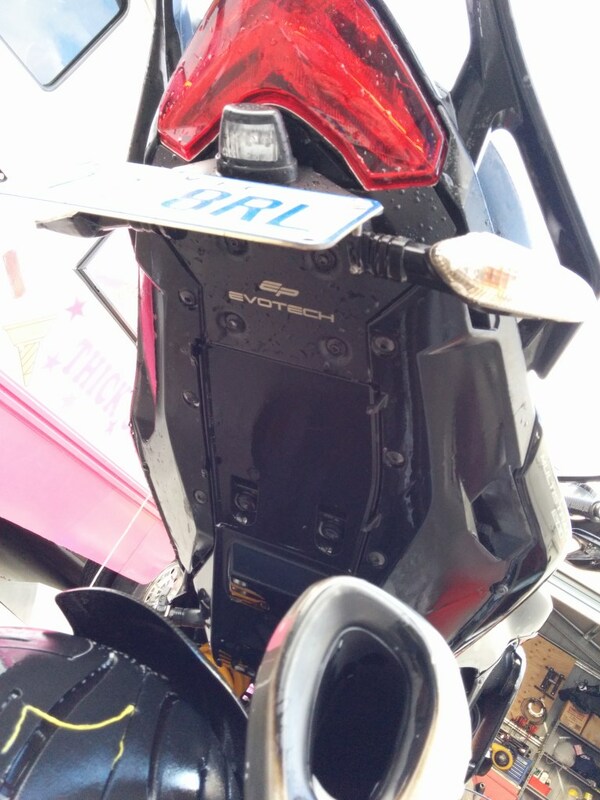 Enter the Evotech Multistrada Tail Tidy. A beautifully engineered piece of kit made to measure with absolutely no changes to the stock wiring at all, and eliminating two big chunks of stock plastic, probably the bet $175 I’ve spent on the bike ever. That was a good half-a-day effort though including a full wet tub and polish. I always do this, and I wish by writing it out I can bash it into my own head to read instructions first; I over think things. I make more work for myself and end up removing fairings and heaps of unnecessary bits as I inspect what I thought would be the best way to go about the job at hand. As Steve once said, never rush. Yet, full of enthusiasm and pimped out new tools, I started dismantling everything. I soon discovered after removing the four correct bolts under the pillion seat that, in fact, was all that I needed to do. A reinforced learning, never rush, topped off with a really satisfying result. Bikes looking pretty good all tubbed up! The next day looming I was needing a ride, so I booked in a lunch with an old mate from my Telstra life while tearing half of the DRZ dashboard apart in the morning. I took the Ducati out for a blast along the beach out to East Hampton and just marvelled at how different, how radically different, it is riding a 400cc single to riding a 1200cc twin. There are no comparisons, clearly, and I love riding the DRZ to work, but getting out on any sort of freeway and sitting on 110 in fifth gear on the Ducati is a whole other level of comfort and power that I had recently forgotten with my little thumper project taking most of my attention of late. Geez the Multi is a good bike. It is sooooo well balanced and easy to ride, and just incredibly comfortable. Not to mention ball-tearing rapid. Topping off the week of being surrounded by motorcycles I dropped into Ducati City and organised to get my bike evaluated for a trade in on the Monster 1200S, just so I know the facts and where I am at. I think it will be interesting to see how much I lose from the $21k price I paid for it almost exactly one year ago today. 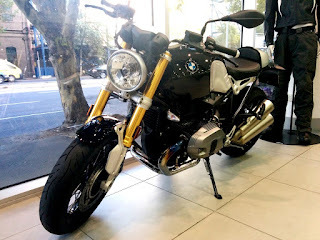 Filtering through the city, I decided to stop by Southbank BMW to sling a leg over the new 1200GSA. It’s more than I think I want from a motorcycle, and for a different type of rider too. 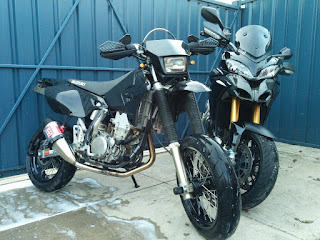 I couldn’t bear parting with $30k on a serious dual sport motorcycle unless I was going to travel at least 70/30 road/trails on a daily basis. The GSA is a serious off-road bike IMHO, despite how many posers that use them purely for commuting in city traffic. The new BMW R nineT on the other hand, looks very pretty but is just too damned small. 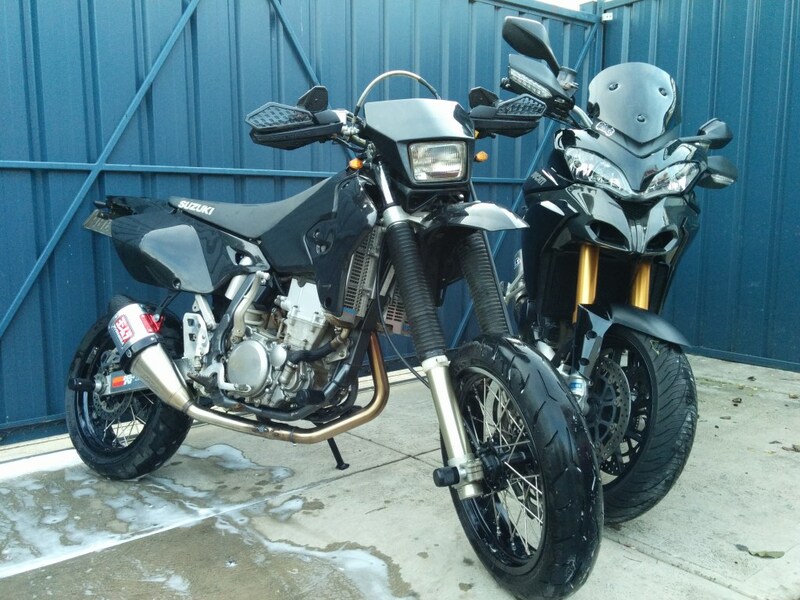 They offered to take a look at my bike too and threw in the offer to test ride the GSA, so I’ll probably take that up over the weekend and let you know what I think. Today I set aside to do two things; first up I wanted to get the Trail Tech Vapor dash set up on Dizzy (he desperately needs a working speedo, and so does my license) and secondly get out to Three Bridges to hangout with the big fella and his family on their block of land. 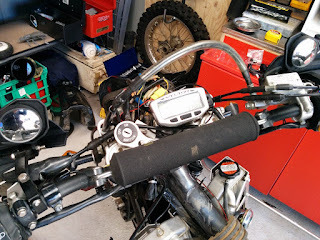 Having already begun the strip down inspection on dizzy, I set about the instructions with a fresh brain and started from scratch, connecting power then the temperature sensor and slowly but surely that is coming together. Everything is pretty much up and running as of right now, except the magnetic speedo sensor which I aim to attack in the morning before visiting the boys at Discount Motorcycle Wreckers and a catchup after Broadford. That'll depend on my wrenching skills, and time. For some reason I dithered about with the temperature sensor, not quite grasping the instructions and endless install write ups I thought I could get away with the Thermistor install option, taking the easiest route rather than chopping hoses, but it turns out I can’t, so that means I’m back to to the beginning. Time for tools down and heading out to Steve’s on the Multi. I’m again struck by just how good a motorcycle this is. As comfortable as a lounge chair yet as nimble as my little motard, you can sit up and see for miles ahead and flick the bike around with your knees in the traffic. It’s just that good. Quick stop to pick up some donuts for the tiddly winks and some 150kms later I’m swinging axes out on the block Steve's clearing. So that’s been my week immersed in motorcycling and I’ve never been happier. 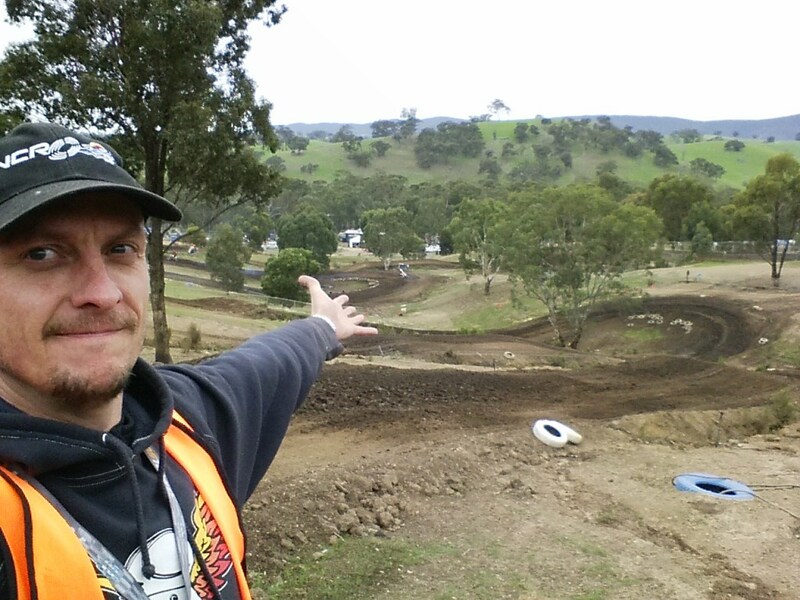 How's your week of motorcycling been?